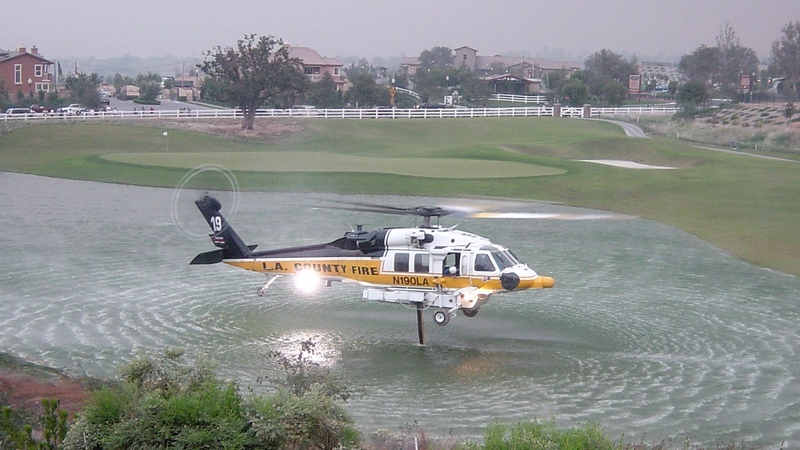 Copter 19 dipping at The Oaks Club Valencia, working the "Semi Incident" fire in 2003. No need for messaging, and texting. This is the place to the ((( LISTEN ))) to the COMMS for yourself and find out whats REALLY going on. I am a licenced Amateur Radio operator, and aviator, and have been broadcasting to the Santa Clarita Valley with this feed 24/7 since the "Semi Incident" of Oct. 2003. Fire frequencies will be given priority on high heat days and red flag alerts. During slow times, dispatchers will handle mulitple cities that may be outside of the SCV. This feed is NOT "filtered". You will hear a few seconds of delay (compared to a scanner) due to the mp3 encoding & decoding process, and your internet connection. This feed uses a Uniden BC898T and BCD996XT, a Grove Scannerbeam antenna, a Raspberry Pi running Darkice, and is supported voluntarily. Beofeng and similar dirt cheap Chinese radios are NOT scanners! They are NOT operator friendly, they don't have the control functions of a scanner, have inferior quality circuitry, and don't cover critical freqencies, such as CHP and Aircraft. 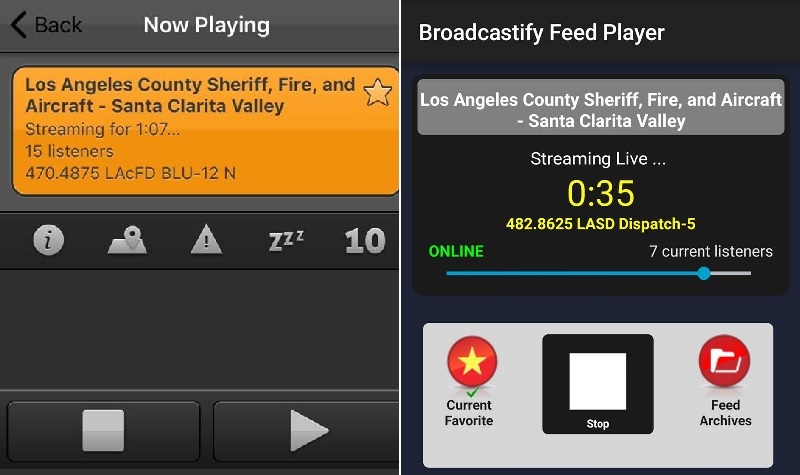 Tactical police channels are not allowed by Broadcastify. Most importantly, THANKS for listening! Have a great day, and happy scanning.